Kurtz is considered the leading spokesperson for the international skeptical movement, and is a well-recognized intellectual across the globe. The contemporary skeptical movement may be said to have been initiated with the founding of the Committee for the Scientific Investigation of Claims of the Paranormal in 1976. This movement is now growing worldwide and it provides a much-needed antidote to the persistence of irrational, paranormal, and occult systems of belief. were liberated from the blind hold of authority, faith, custom, revelation, and mysticism, and when they sought to appeal to inductive evidence and experiment to test hypotheses and deductive reason and mathematics to develop more comprehensive theories. There are at least three kinds of skepticism that may be distinguished; the first in its extreme form is negative and nihilistic. It has had both classical and modern defenders. It holds that no knowledge is possible, and this applies not only to scientific and philosophical theories, but to any kind of moral or political principles. This form of skepticism is totally unreliable. A person cannot hope to function in the world if he or she is in a state of utter doubt and indecision. A second form of skepticism, which developed in ancient times and came to fruition in the modern world was called by David Hume, "mitigated skepticism." This approach said that we needed to act in the world and to formulate beliefs about it. Yet it still presupposed an underlying gnawing skepticism about the reliability of knowledge. Still a third kind of skepticism had emerged on the philosophical scene in the early part of the 20th century. Charles Peirce and the American pragmatists argued that skeptical doubt is but one phase within a process of inquiry, but it can be overcome when hypotheses are tested by adequate evidence and justifying reasons. This form of skepticism is positive and constructive and it is limited to specific contexts under inquiry. Scientific inquirers realize that their formulations may not be fixed or final and may be modified in the future by future observations and theories. Nonetheless, science presupposes the conviction that reliable knowledge is possible and can be attained by persistent efforts. 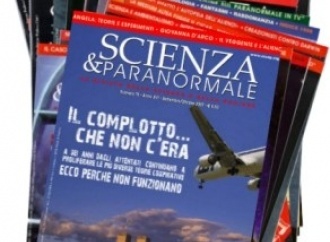 The kind of skepticism which the Committee for the Scientific Investigation of Claims of the Paranormal presents is continuous with the third kind above. I have called this "the new skepticism" in my book by that name. This form of skepticism is based on the realization that the progress of science is the result of the continuing application of the methods of science, and that skepticism is an intrinsic part of the process of inquiry. Permit me to say something about the reasons why I decided to create such a movement. I had long been a critic of paranormal (and supernatural) claims that could not be supported by the evidence. I was astonished that many or most of the claims continued to enjoy widespread public support, even though they had been refuted. Moreover, the mass media latched onto paranormal claims, which they discovered was profitable at the boxoffice. Uri Geller, Jeane Dixon, and others were enjoying a huge following with nary a dissent. This was in spite of the fact that scientific inquiry, which investigated their claims, had rejected them because of a lack of evidence. Astrology is a good case in point, for it was refuted by astronomers, physicists, statisticians, psychologists, and other scientists. There is no empirical basis for horoscopes or sun-sign astrology; its cosmology is based on the discredited Ptolemaic system; moreover, it is possible to test its predictions and forecasts; and the results are invariably negative. Yet very few in the general public are aware of these criticisms, and indeed often confuse astronomy with astrology. With this in mind, I helped to draft and issue a statement, "Objections to Astrology," with the help of Bart Bok, a noted astronomer, and Lawrence Jerome, a science writer. This statement was endorsed by 186 leading scientists, including 19 Nobel Laureates. It received immediate worldwide attention, especially after the New York Times did a front-page story. It seemed to me that the success of this effort, especially within the scientific community, called for the need for a more organized response by the academic and scientific community. I decided to create a new coalition comprised of scientists, skeptics, philosophers, magicians, and others. Hence, I invited several dozen critics of the paranormal to Amherst, New York, to an open conference to develop an organized opposition to the uncontested growth of belief in the paranormal. These included some well-known popular critics, such as Martin Gardner, Milbourne Christopher, Marcello Truzzi, Ray Hyman, James Randi, and others. I also invited some distinguished philosophers and scientists, such as Ernest Nagel, Sidney Hook, and W. V. Quine to endorse the statement of purpose which I had drafted. The conference was held at the new campus of the State University of New York at Buffalo, in Amherst, New York. At that time, I was editor of THE HUMANIST magazine, one of the leading journals critical of religion. At the inaugural meeting of CSICOP, in my opening address ("The Scientific Attitude versus Anti-Science and Pseudoscience"), I said that there was a long-standing conflict in the history of culture between religion and science, but that today a new challenge to science has come to the fore because of the growth of pseudoscientific and paranormal claims. The apparent popular belief in exorcism, nouveau witches, and Satanism were symptomatic of the Aquarian consciousness then being proclaimed. The mass media also presented as true and usually without any dissent accounts of Kirlian photography, the wonders of ESP and psychokinesis, UFO sightings, the Bermuda Triangle, Bigfoot, van Daniken's _Chariots of the Gods_, etc. A great number of quasi-religious cults had also emerged at that time. These were symptomatic of a countercultural opposition to science that had begun to appear, and it needed, in my judgment, to be responded to -- for the public had a right to hear the scientific critique of the pseudoscientific and fringe claims. which began in the sixteenth century, is continuous? Or will it be overwhelmed by the forces of unreason? engulfed by the forces of unreason. Since that time, postmodernism has emerged, denying the possibility of scientific objectivity, and considering science one mythic narrative amongst others. And much to everyone's surprise there has been widespread attacks on the Enlightenment and the ideals of the scientific revolution. Today these antiscientific protests are accompanied by a resurgence of fundamentalist religions. So the challenge to science is not simply from propagandists for the paranormal, but also from the disciples of many religions. I should point out that although I personally believe that skeptics need to deal with religious claims as well as with paranormal claims, I recommended that CSICOP concentrate on paranormal and pseudoscientific claims. The British and the American Societies for Psychical Research, founded in 1882 and 1885 respectively, were basically made up of those committed to the psychical point of view, as was J. B. Rhine's laboratory founded at Duke University in 1927. Hence, CSICOP would concentrate on paranormal investigations, though hopefully from a neutral and impartial framework, and it would examine religious claims only insofar as they were testable. I founded FREE INQUIRY in 1980 explicitly to deal with religious claims, for the new skepticism needs to be applied across the board. As is well known, the first meeting of CSICOP had an enormous impact. There was extensive press coverage from the Washington Post and New York Times to Le Monde and Pravda, with virtually all of the major science magazines welcoming the formation of CSICOP. We had crystallized a perceived need that both the scientific community and many in the general public thought had to be satisfied: a response to the growth of paranormal claims. Within a year our new magazine was launched, at first called THE ZETETIC(under the editorship of Marcello Truzzi), and thence the SKEPTICAL INQUIRER(under the editorship of Kendrick Frazier, who had been the editor of SCIENCE NEWS). Much to our pleasure, skeptical groups began forming all over the world, so that today there are over 75 such groups from Germany, England, and the Netherlands, to China, Russia, Spain, and Mexico; and there are networks of such groups in Europe ("EuroSkeptics") and Latin America. Moreover, some 50 magazines and newsletters have appeared. Indeed, we have worked closely with national groups to help get their organizations and magazines started. All of these developments have contributed to the formation of a worldwide New Skepticism Movement. There is now a vibrant and growing International Network affiliated with CSICOP and the SKEPTICAL INQUIRER. We are all committed to the scientific program, we are skeptical of paranormal and occult claims, unless they have been corroborated and replicated by independent investigators. One may ask, After more than two decades of inquiry, what can be learned about this entire phenomena? In the rest of this article I wish to sum up many of the basic findings and conclusions that the skeptical movement has reached about paranormal belief claims. First, that the term paranormal itself is highly questionable. We decided to use the term only because proponents (such as J.B. Rhine) had used it. 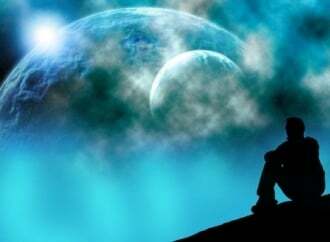 We doubt that it is possible to find a paranormal realm separate from or independent of the natural universe. We are seeking normal and natural explanations for phenomena. The best meaning of the term paranormal is that there are sometimes bizarre, unexpected anomalies that we encounter (as Charles Forte described them), and we are willing to examine them with an open mind, and do not wish to reject them a priori and antecedent to inquiry. Murray Gell-Mann, Nobel Prize-winner and a Fellow of CSICOP, at a conference at the University of Colorado in 1986, observed that in one sense we deny the paranormal entirely, because once we find that phenomena can be explained by reference to prosaic causes, then these explanations are incorporated into the natural scientific world-view, and are not separated from it. I reiterate, we have an open mind and are willing to examine anomalies without prejudgment, providing that the claims made by the proponents are responsible. What we have found is that many reports of anomalous events are based on anecdotal accounts. While these reports cannot be dismissed out of hand or without a fair hearing, especially if they are seriously offered, skeptics hold that inquirers go beyond mere anecdotes to a more systematic examination of the phenomena. Many anecdotal narratives are based upon private experiences, subjective and introspective in character, or upon memory of past events, which may be unreliable, or upon second- or third-hand hearsay. It is important that all such reports be carefully sifted through, if possible, before they are accepted. Anecdotes may have a grain of truth and they may bring new and important data, otherwise overlooked. On the other hand, they may involve serious misperception or faulty memory; they may involve stories embellished upon beyond their original meaning; or incidents blown out of proportion to what actually happened, or the deception of the senses colored by suggestion. Many of these alleged anecdotes, if reported second-hand, take on the character of gossip, folk tales, or urban legends. There is a tendency for people who believe in the occult to read in mysterious nuances to otherwise prosaic experiences, or to exaggerate the significance of random events. This commonly occurs, for example, in reports of ghostly apparitions, crisis premonitions of death, visitations by extraterrestrial beings, or the accuracy of psychic prophecies. Skeptics ask, Did the event occur as the person states, and is the interpretation placed on the event the most likely cause? Unless an anecdotal account can be corroborated independently, investigators urge caution about its authenticity. This not only applies to the truth of the event alleged to have actually occurred, but on the occult explanation that is imposed on it because of ignorance of the real causes. The skeptic says that the report may or may not be true and that if it did occur there may be alternative causal explanations to be made of it. Are we dealing with a real event, or a misperception, hallucinatory experience, fantasy, and/or a misinterpretation of what happened? The appeal to eyewitness testimony is the bedrock of our knowledge about the world and ourselves. The data is drawn from direct first-hand experience. It is important, however, that such testimony not be accepted on face value without careful inspection. This is especially the case when the testimony is about anomalous, unexpected, or bizarre events. If a person reports that it is raining heavily outside and he supports the claim with the fact that he is soaking wet, and if this report does not conflict with our common knowledge about the world, it need not demand weighty evidence (though he may have been squirted with a hose or had a bucket of water dumped on him.) We can corroborate such claims by looking outside and/or receiving reports from other bystanders; and/or consulting the barometer. If, on the contrary, a person reports that it is raining pink fairies, skeptical inquirers request that his extraordinary account be corroborated by independent and impartial observers. Psychologist Elizabeth Loftus of the University of Washington (Fellow of CSICOP and a speaker at its 1994 convention) has performed numerous experiments to demonstrate the often fallible and deceptive character of memory. She found that many bystanders at a robbery or accident often offer conflicting reports, especially where the incident is emotionally charged. This tendency to misperceive may be compounded when someone claims to have seen a statue of the Virgin Mary weep or a miraculous cure by a faith healer. Not only must the report of an observer be carefully analyzed, but the interpretation that is placed upon it must be evaluated. Thus skeptical inquirers ask that wherever possible there be two or more witnesses to an event, that these witnesses be careful observers, and that what they have said can be independently corroborated. Reports of UFO visitations are common throughout the world, and these reports often come in waves, often depending on sensationalistic media exploitation. The investigator asks, What did these people really see; can these interpretations be verified? Skeptical inquirers have sought to provide prosaic explanations for unidentified flying objects, which are often identified as planets, meteors, weather balloons, terrestrial rockets, aircraft, or other phenomena. can retrogressively affect past events in a random generator. This unusual anomaly would seem to violate the laws of physics, and/or it would require that physics be revised to account for it. We would need several lines of independent replication before we can accept the claim. cheating --- hence they attributed the event to paranormal causes. Similarly, it is claimed that D.D. Home, a well-known medium, allegedly floated 75 feet above a London street and performed other strange feats, and that those feats could not be accounted for in normal terms. Beloff maintains that unless skeptical inquirers can explain how these mediums performed what they did in all cases, then these accounts should be accepted as veridical. The skeptical inquirer responds that the burden of proof rests upon the paranormal claimant. It is he who must be able to account for such cases with sufficient evidence; unless this is done, one should suspend judgment and remain skeptical. This is particularly the case in regard to historical claims, where it is difficult to reconstruct the situation under which the alleged effect occurred. That is why skeptics ask for replication in the present before they can accept the phenomenon. The burden-of-proof argument has been used in religion. Is a believer entitled to believe whatever he wishes about God, unless the skeptic can disprove His existence or demonstrate that the properties attributed to Him do not exist? The skeptic criticizes the logic of the argument in the following manner: If someone were to claim that mermaids exist, the burden of proof is upon him, not the skeptic to disprove the fact.